Silver Lake Accommodations was formed in 2009 to meet the needs of homeowners in the Silver Lake Village of Deer Valley Resort. Implementing a hands-on approach to our vacation rentals and property management services is how we keep guests and owners happy! Our goal is to provide a consistently high level of service and quality to all our homeowners and renters this is achieved in part by concentrating on a smaller geographical area. Do this we have customized our program to fit your needs. 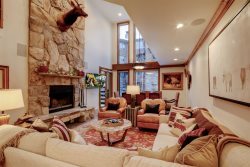 Our goal is to maintain a small high-end inventory of ski-in/ski-out rental properties in order to provide a personalized service level to owners and guests that is uncompromising by size. With an on-site location in the Silver Lake Village, we are able to provide you with the service and security you desire for your Deer Valley investment. For more information on our rental and management program, please email Ron Krieger, Owner/Manager.